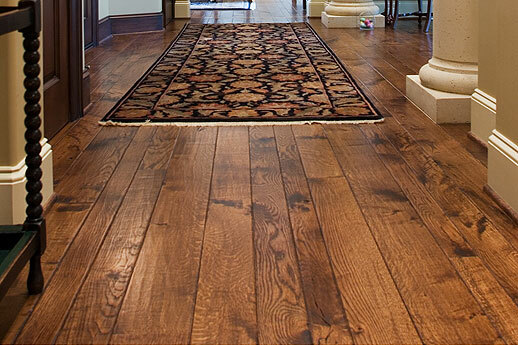 Many types of wood flooring have cathedral grain or plain sawn look. If you’re looking for something different, then consider rift or quartered boards. 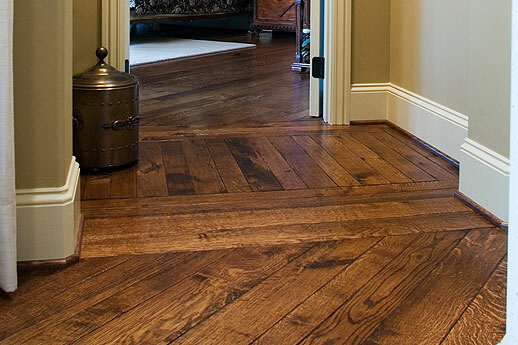 In addition to offering unique styling — natural fleck of the wood with a vertical grain for quarter sawn, radial grain for rift sawn, and combination of vertical and radial grain for rift and quartered — rift and/or quartered floors resist changes in heat and humidity better than other wood floor styles. Whether you choose quarter-sawn, rift-sawn or rift and quartered, you will be getting top quality, stable and long-lasting flooring. For quarter-sewn boards, the center of a log is cut into four pieces. Each quarter is processed by cutting a single board off one face, turning the quarter at a right angle and then cutting from the alternate face. This process is repeated on each quarter until all boards are cut. This process enhances natural tree ring pattern, adds depth to the appearance of the floor increases the longevity of your planks by strengthening the wood. Like quarter sawn boards, rift sawn planks are cut from the center of logs, but are narrower and feature a vertical pattern. This is achieved by cutting each board at an angle to the tree rings of more than 30 degrees. 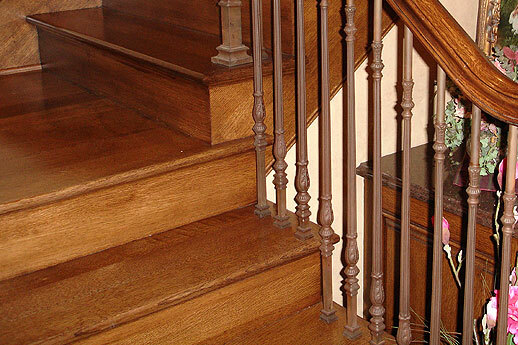 The unique milling process makes rift sawn planks our most hardwearing and stable board type. A combination of the two techniques described above creates a floor with a unique texture and color combination that brings together vertical and radial grain and offers strength and durability. As with our other flooring, a urethane coating applied at one of our two production faculties protects the color and finish of your flooring. Rift and quartered floors almost shimmer in bright sunlight and create a lasting impression on anyone walking into the room.